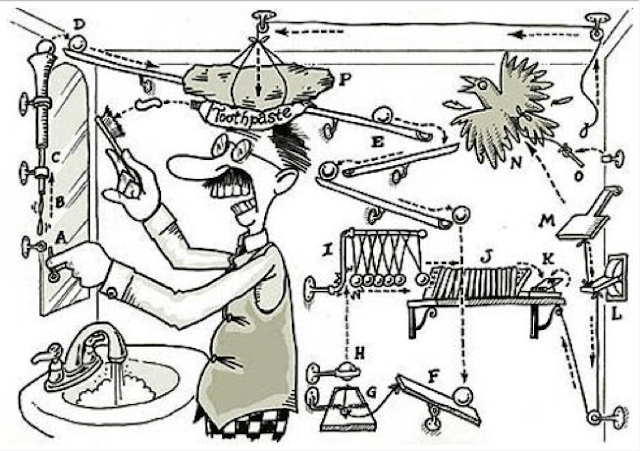 Would a continent-sized super HVDC grid be a Rube Goldberg machine writ large? Back in the day, you would have been hard-pressed to find an article on the internet critical of biofuels. We should all be driving biodiesel or cellulosic ethanol powered cars by now. Politicians at the Federal level from both sides of the aisle saw this as an opportunity to kill two birds with one stone; buy votes from the farm belt, implement a permanent farm subsidy. So, in the end all we have left is the government mandated consumption of corn ethanol. Ethanol made out of corn now replaces roughly 10% of gasoline use. Not quite what everyone was hoping for. Governors and mayors also jumped on the bandwagon with similar dismal results. Because Seattle is too small to grow its own biodiesel, the goal was to at least source it from Washington State, but for economic reasons, it ended up coming from Canada. So, in the end, there was a transfer of wealth going on from Seattle to Canada for its canola-based biodiesel, which is why all of the biodiesel stations have since disappeared. A similar situation arises with the generation of electricity. Dozens of studies and white papers supporting biofuels were being pumped out (no pun intended) at the height of the craze. I see all of this as a potential analogy for what we're witnessing today with wind and solar. The latest low carbon energy system research seems to have given up on storing excess wind and solar generated electricity in a form that will be used to create electricity later (minus the 20%-30% lost from storing and retrieving it) when there is demand for it. Instead, researchers are expanding the boundaries of grid systems, making them bigger and bigger in an attempt to capture and distribute the energy generated by continent-wide weather patterns. To pull this off they are counting on gigantic coast-to-coast HVDC super grids. HVDC power lines have fewer losses but are more expensive and complex, requiring that the AC current be converted to DC at one end of the line and then converted back to AC at the other end. In an attempt to fix one of the many flaws found in his 100% WWS renewables study, Mark Jacobson is currently revising his assumptions to further expand the boundary of his grid to usurp Canada's hydro. So, what hope do small time politicians, the mayors and governors of our cities and states have to go 100% renewable within their relatively small grid boundaries? Washington State with all of its hydro is already essentially there. Without a financial incentive to do so, Washingtonians will be hesitant to share more than it already does with states not so well endowed, and most certainly will not want to do so if it incurs a financial penalty. This continent-wide super grid idea requires everybody to cooperate and in many cases, to make sacrifices. That isn't going to happen. That is its weakest of links. It goes against the grain of an aspect of human nature where personal gain tends to be a priority. Communism was also a wonderful idea on paper. To Jacobson's credit, he is right about the infeasibility of storing electricity to be used again as electricity. He is also right in that to make wind and solar work at such large scales, the boundary of the grid has to be continent-wide. His idea to reserve the use of existing hydro for peaking and load following power was novel and interesting ...until shown to be impossible. Right …significant uncertainty. To wit, I stopped counting at 500, the instances of the words “assume,” “assumed.” and “assumption” in just the first volume of this four volume study. I also counted over a hundred instances of the words “uncertain” and “uncertainty” and fifty five instances of “likely” or “likelihood” in that first volume. So, in the end, study results are only as good as the assumptions made. All else being equal, the more assumptions made, the less reliable the results. The arguments over results often boil down to arguments over assumptions. In the world of science, as one might surmise, making an assumption that is not backed by any evidence is a no no. Mark Jacobson's unsupported assumption about hydro power invalidated the results of his Rube Goldberg 100% renewables study. If you missed that particular kerfuffle, you can read more about it here, here, here, and here. If you were going to do a study to reduce electricity sector emissions by 80% in the United States, you could do so by eliminating coal use and about half of natural gas use as seen in Chart E, which is the result of a 2016 study. Before continuing, you might want to open another window that has Figure 1 in it for reference. Pie Chart D is the result of an NREL study where the goal was to seek the lowest cost mix to achieve 80% renewables by 2050 (which would not lower emissions 80%). It's the same study I mentioned earlier that had over 500 instances of versions of the word "assume" in just the first of four volumes. Go here to see some of the assumptions used. Chart F represents the hypothetical results of a proposed study similar to the one that produced Chart E except nuclear was expanded to displace coal at the expense of wind and solar. In the hypothetical Chart F, wind and solar are primarily being used as fuel reduction devices to do a beat down on natural gas consumption. The key assumption for the hypothetical Chart F is that new nuclear will be built by Chinese and South Korean companies at prices seen for new nuclear being built by those companies today. The main advantage of F over E is that there would be no need to build a coast to coast HVDC super grid, which would save a lot of money, not to mention, birds, and bats. See Figure 2. New nuclear could be sited where it is most advantageous, some on top of old coal plant sites that are already zoned as power stations, along with attendant power lines and sources of cooling water. Could Chart F end up being the lowest cost solution of all? Sure, depending on assumptions. Every cost study I've seen that didn't specifically exclude the use of nuclear, found that the lowest cost solutions include significant amounts of nuclear. Interestingly enough, the study represented by Chart E is similar in many ways to the Jacobson 100% renewable study in that it relies on a coast-to-coast HVDC super grid instead of storing electrical energy in some (yet to be invented) economically viable form to be retrieved as electrical energy later. And also interestingly enough, one of the main contributors to this study was also one of the most vocal critics of the Jacobson study. What I don't like about the study represented by chart E, is the need for a coast-to-coast HVDC grid (see Figure 3). Because a grid of that size, type, and complexity has never been done before, assumptions about how long it would take to build, what it would cost, how it would be operated, have low confidence levels, i.e., it probably won't work as planned. The unknown unknowns are what get you. If you want to reduce the risk of failure (increase odds of success), stick as close as possible to technologies with proven track records. France and Germany are first-world industrialized nations with radically different success stories when it comes to decarbonising their electrical grids (see Charts B and C and Figure 5). France has plans afoot to further diversify its energy mix by eventually moving to a roughly 50% nuclear, 50% renewable grid. They may not get there, but if not, it won't be at the expense of emissions. A quick look at the latest release of the BP Statistical review revealed that German solar and wind had downturns last year. One was the result of a subsidy reduction and the other the result of weather and construction delays on transmission line expansions. See Figure 4. Also note that the charts have been simplified by omitting small contributors and smearing their percentage into the others and that the beginning of this article was revised on 7/5/2017 to include new graphics and a few more thoughts.